India launches space shuttle of her own-ISRO has done it again. India successfully launched its first mini space shuttle on 5/23/2016, as New Delhi's famously frugal space agency joined the global race to make rockets as reusable as airplanes. The shuttle was developed on a budget of just one billion rupees ($14 million), a fraction of the billions of dollars spent by other nations' space programmes. The Reusable Launch Vehicle, or RLV-TD, which is around the size of a minibus, hurtled into a blue sky over southeast India after its 7:00am (0130 GMT) lift off. After reaching an altitude of about 70 kilometres (43 miles), it glided back down to Earth, splashing into the Bay of Bengal 10 minutes later. The test mission was a small but crucial step towards eventually developing a full-size, reusable version of the shuttle to make space travel easier and cheaper in the future. "We have successfully accomplished the RLV mission as a technology demonstrator," Indian Space Research Organisation (ISRO) spokesman Devi Prasad Karnik told AFP. The worldwide race for reuseable rockets intensified after NASA retired its space shuttle programme in 2011. While Internet tycoon Elon Musk's SpaceX and Blue Origin of Amazon owner Jeff Bezos have already successfully carried out their own test launches but they were very expansive..
India doing wonders in space mission after well known - Mission to Mars -on a shoestring budget in 2013 sending an unmanned rocket to orbit Mars at a cost of just $73 million. NASA's Maven Mars mission had a $671 million price tag. 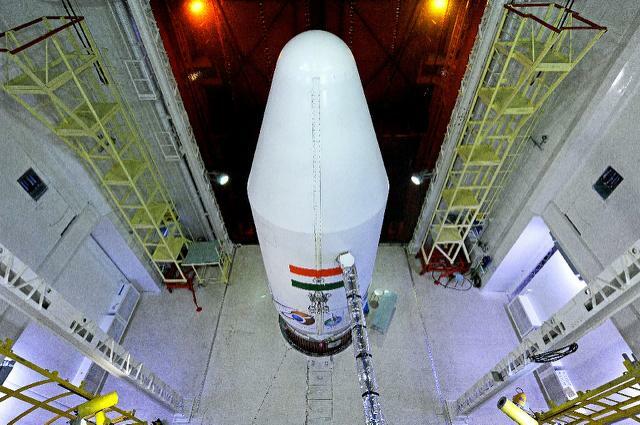 Now India is first Asian country to use re usable space shuttle after becoming first Asian country to reach the Red Planet per K. Sivan, a scientist involved in the latest project, said the seven-metre (23-foot) long shuttle survived the test flight, and scientists hope subsequent models six times as big, to be built over the next decade, will glide safely back to land. "We have located the place where the vehicle is floating. The landing was soft and the vehicle did not break," Sivan told AFP. "The mission went off as planned and data from the experiment showed that we have achieved its objectives and demonstrated the RLV technology." Prime Minister Narendra Modi praised the "industrious efforts" of ISRO scientists. "Dynamism & dedication with which our scientists & @isro have worked over the years is exceptional and very inspiring," Modi said on Twitter.